The Street Triple S didn't really impress us like the earlier 675. Can the top-spec RS bring back the magic of the original? 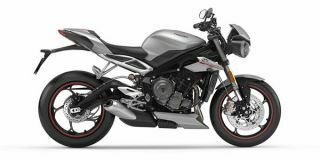 Varying levels of nakedness, differing principles of power, and approaching joy of motorcycling from different angles, the Triumph Street Triple S 765 and the Kawasaki Z900 renew a hard-fought rivalry. The decision isn’t as easy it seemed at first. Fantastic as a daily runner, and on track as well, but the Street Triple was getting left behind in the power and technology race. Has Triumph managed to bring the advantage back home, without compromising the sweet balance that the Street Triple had to offer?